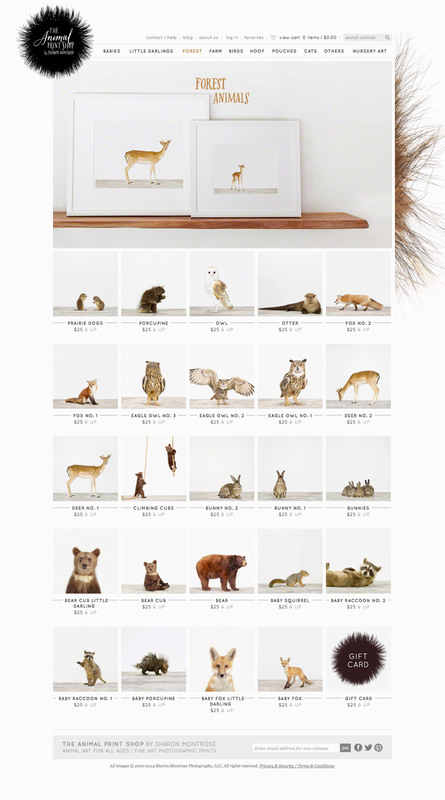 When Sharon Montrose approached us about designing an online store for her animal photos, we were thrilled. It meant looking at baby lions, tigers, and bears, (oh my!) all day long. We started by creating a series of hairballs that became the crux of the identity, alongside Leigh Wells beautiful lettering. 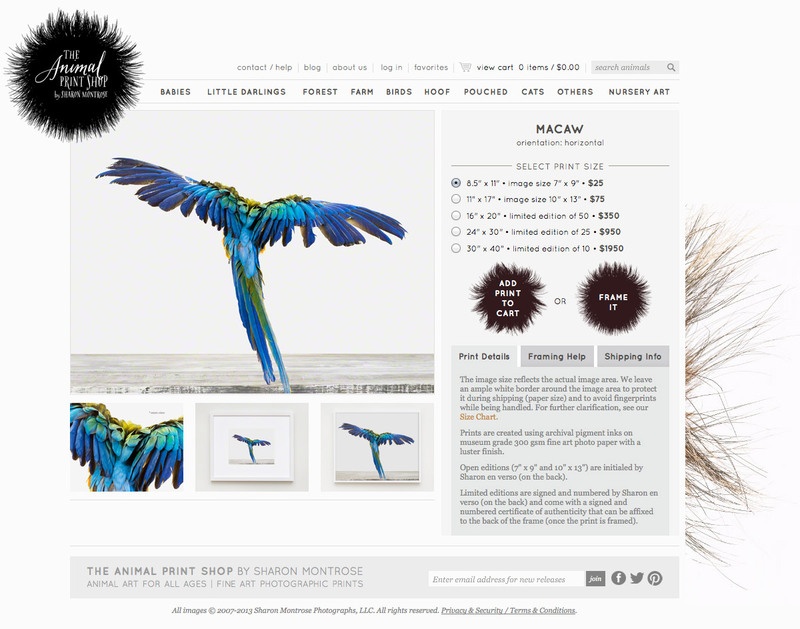 We designed and built-out a custom e-commerce store that is helping Sharon spread animal cuteness throughout the world. Aside from being the backdrop to the logo, the hairballs became buttons and call-outs on the site. 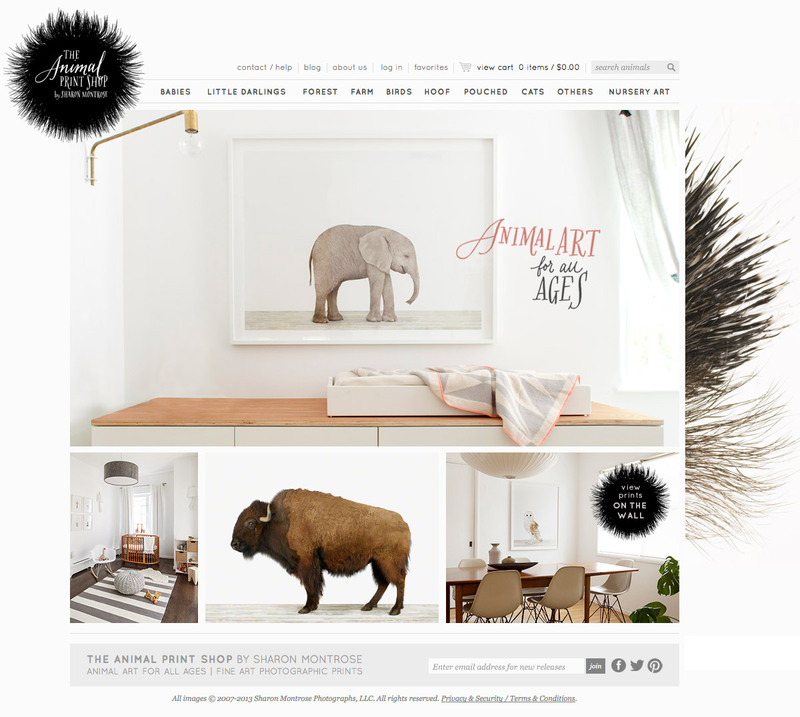 The close-up quills completed the hairy website, and made it stand out amongst other e-commerce stores.